It looks like Americans aren’t the only ones who are fed up with illegal immigration into our country. Canada’s Prime Minister welcomes immigrants of all kinds with open arms, but that doesn’t appear to reflect how many Canadians feel. Huh, who could have seen this coming? It turns out not every Canadian is doing yoga like their Prime Minister and holding their arms open for immigrants. Nearly half of Canadians want to deport people who are illegally crossing into Canada from the United States, and a similar number disapprove of how Prime Minister Justin Trudeau is handling the influx, according to a Reuters/Ipsos opinion poll released on Monday. 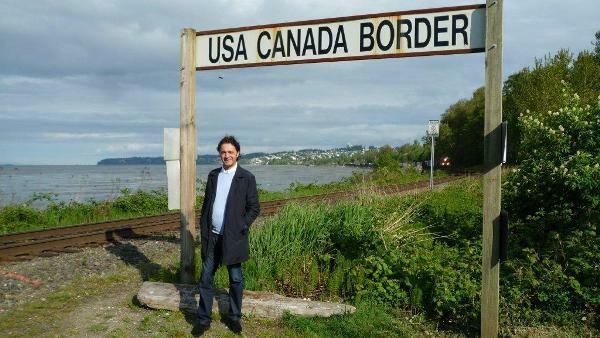 A significant minority, four out of 10 respondents, said the border crossers could make Canada “less safe,” underlining the potential political risk for Trudeau’s Liberal government. The increasing flow of hundreds of asylum-seekers of African and Middle Eastern origin from the United States in recent months has become a contentious issue in Canada. There has been broad bipartisan support for high levels of legal immigration for decades in Canada. But Trudeau has come under pressure over the flow of the illegal migrants. He is questioned about it every time he appears in parliament, from opponents on the left, who want more asylum-seekers to be allowed in, and critics on the right, who say the migrants pose a potential security risk. Are we getting ready to see a Canadian Donald Trump? I wouldn’t be surprised. Everyone, even the most “tolerant” have their limits. It would appear our hockey-loving friends to the north have just about reached theirs.